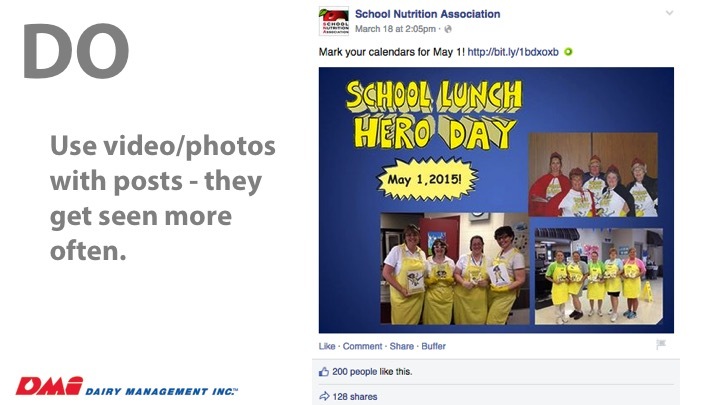 I recently gave a presentation at School Nutrition Association’s National Leadership Conference in San Diego. I had a great time and actually got an “I love you” out of the audience (first time for that). I wanted to share some of my notes from the presentation because a lot of it was common sense that people need reminders on. Especially when it comes to social media. I wish I could have spoken to this Concord coach before she did this. So here’s my do’s and dont’s on social media. 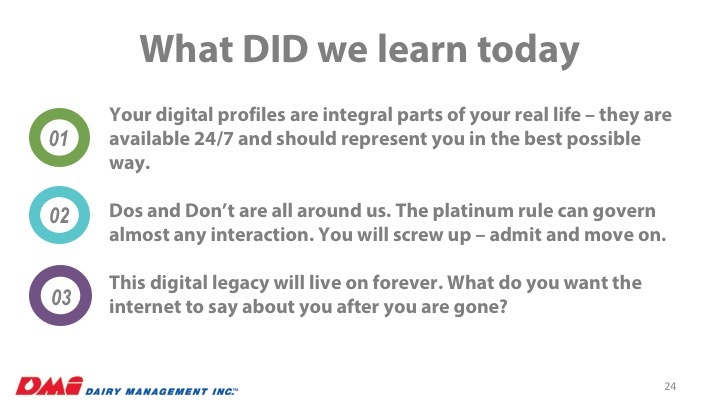 I like to start a presentation like this with a video that shows how strong of an influence that digital and social play in our lives. We rarely treat another person better than we do when we are in love with them. 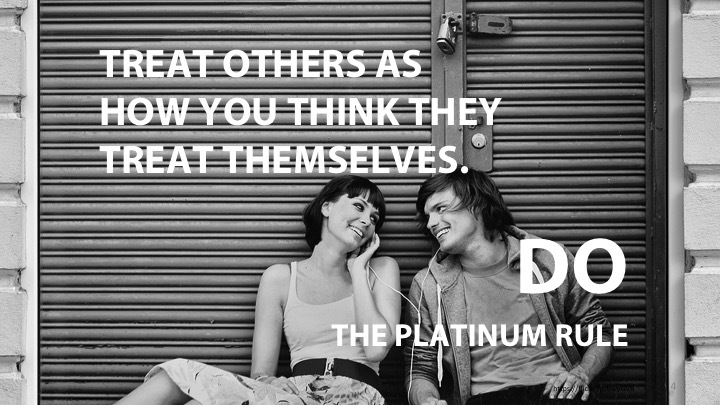 This is the platinum rule. Focus on them and meeting their needs. A big mistake is that just because you think it’s important to get your message out right away – it’s definitely not the first thing people are wanting you to do. They want you to be part of the conversation and figure out if they trust you before they decide they want to listen to your message. If you’ve earned the right, then you will be heard. 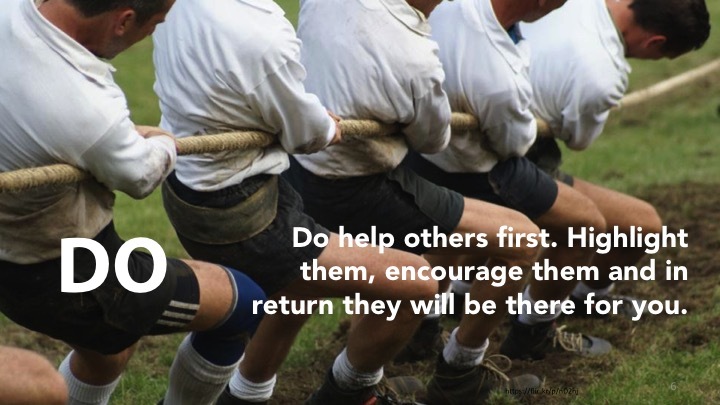 When you help others, they tend to like that. If you highlight them and encourage them, they like that even more. You shouldn’t be worried about it coming back to you but it usually does. People don’t remember what you say or do but they’ll remember how you make them feel. Make them feel special. You will brand yourself as a ranter and that’s negative. 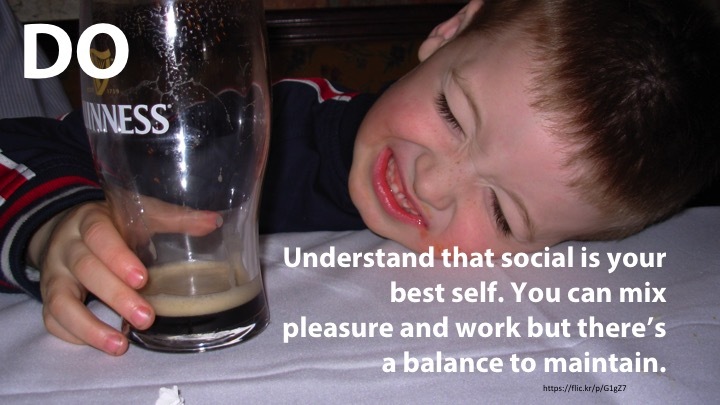 These social profiles are your best stuff not your worst. What will your great-great-great grandkids think when all they know you from is your social profiles (this digital stuff is gonna last way longer than you do). You don’t want them thinking you’re a jerk, do you? You shouldn’t be a robot either on social. There’s a balance to all of this but people need to see that you are a real person. If you never mix business with pleasure then no one is going to pay any attention to what you are saying. Be real but understand who you are trying to portray with this digital life. What gets done during your day? If you are like me, it’s the stuff that is scheduled in your calendar. 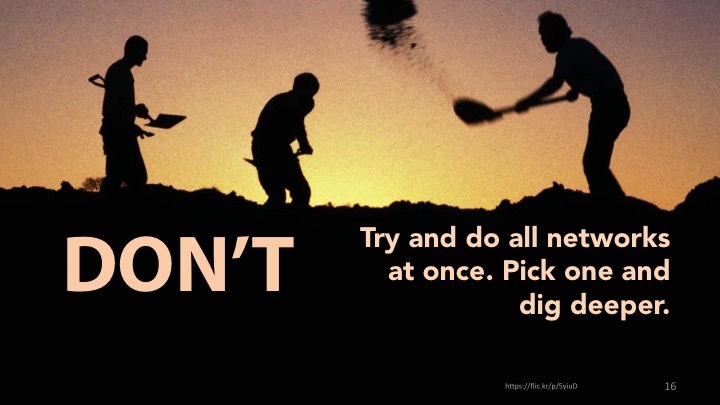 If you don’t schedule in social media, it’s not going to get done. I try and make time for it throughout the day but if you can’t, the first 20 minutes of your day can be prime to get some social done. Especially using cool tools like Buffer. I highly recommend this. It can make it look like you are taking the time throughout the day to be productive in social. People don’t know if you are an expert or not until you prove to them you are (or not) one. But if you don’t use social media, then they won’t hear you anyway. Your title does not define your leadership – the fact that you care and are willing to put yourself out there and lead people does. 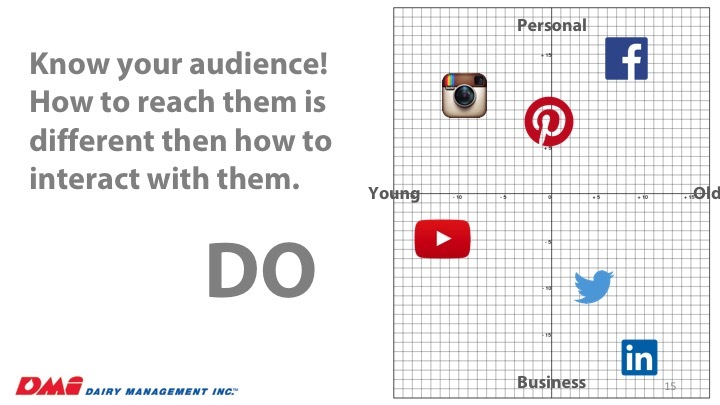 You have an audience to influence. You can try to do this one at a time via email and phone calls or you can use a blog or social profile and reach so many more. It’s up to you but I can tell you that if you aren’t out there, there are people willing to fill in the gaps. Like her below. This is not HER fault. 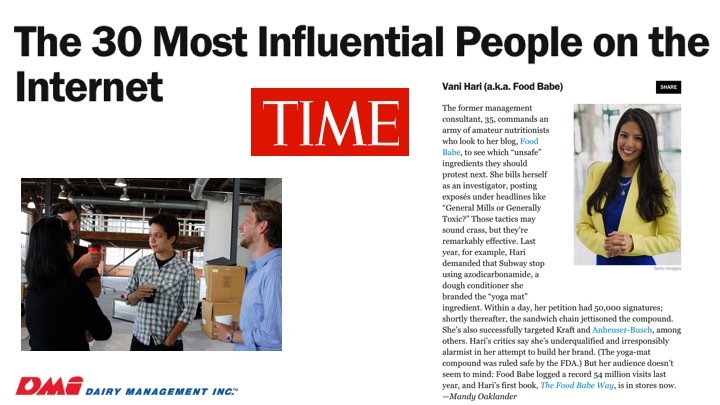 You can blame the Food Babe all you want but she took the time to listen and then lead the charge. I can’t fault her. 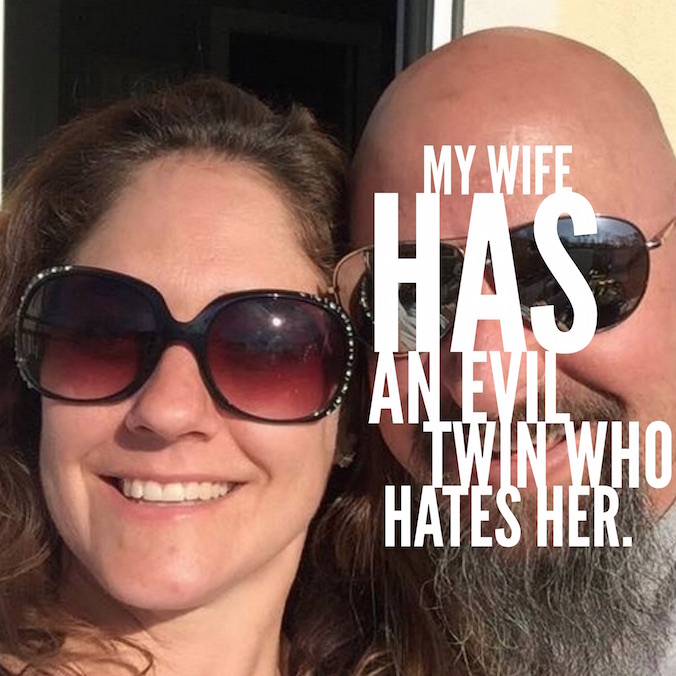 I could put blame on all the researchers, food experts and scientists that you should have not let her fill the gap but I won’t. Most experts know what to do now – you need to get out there and preach the good word about good food backed by science and emotion. 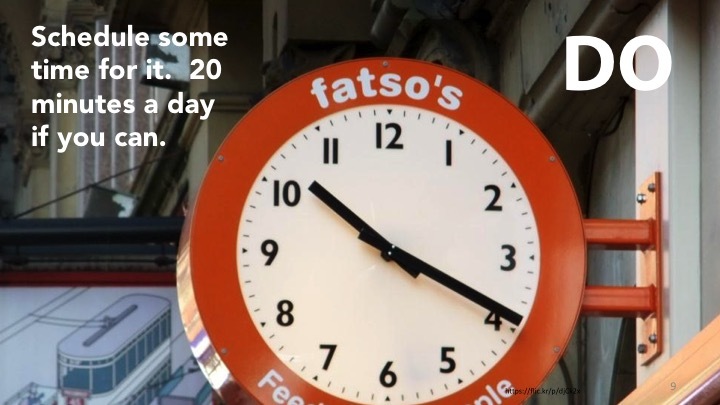 Most of these people are diet fads – it will fade in time but it didn’t have to be this way. Videos win in social, photos come in second. Facebook favors video. Why? Because people will stay on their site longer to view videos (common sense, right?). So what should you do? Make videos if you have a message you really want people to see/hear and upload it natively into Facebook (don’t just upload to YouTube and then share). 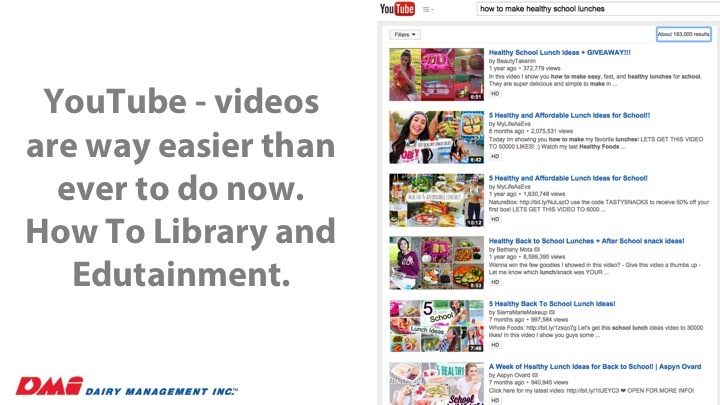 Video is much easier to do than in the past. One of my favorite apps for video is iMovie and it’s a lot easier to use than you think. When people first meet, what do they do immediately afterward? Especially if they are interested in them in a business sense (sometimes romantic). They GOOGLE them. Are you happy with what Google says about you? Do you know how to change it? Tip: you can’t change what Google displays but you can fill Google with more content that hopefully pushes the bad stuff down. 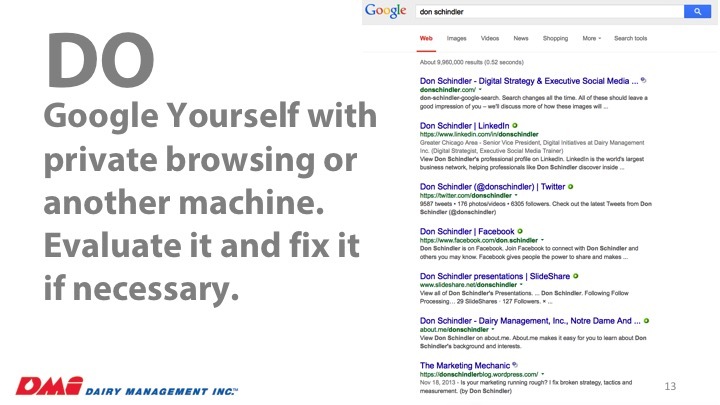 Google is your homepage – not your website or social profiles. People Google you first. You should know if Google has something new on you. 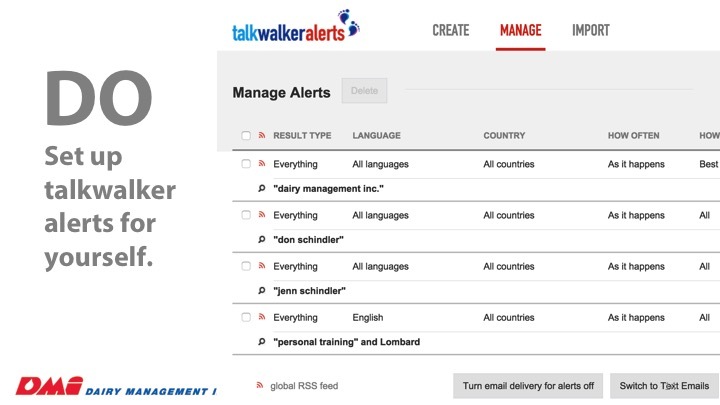 Use Talkwalker Alerts (FREE) to monitor for your name. It’s not hard to set up and it works relatively well. If you want to reach people in their social areas, then you need to know which network they hang out in. If you don’t know that then stop using social until you do. How do you find out? I don’t know. Did you ever think to ask them? Or you can use research? The graph above displays my thoughts and experience on where young and old people are at in social and what they use it for (personal or business). Most networks blend both. You honestly don’t need to try and do all the social networks at once. Pick one and go deeper in your use (HINT: it should be the one your audience really likes to use). Personally, I love Facebook for its interaction with my friends. I seldom interact with brands there but I know I can. The problem with Facebook is that it’s not an easy place for business pages to get stuff seen UNLESS they have money. 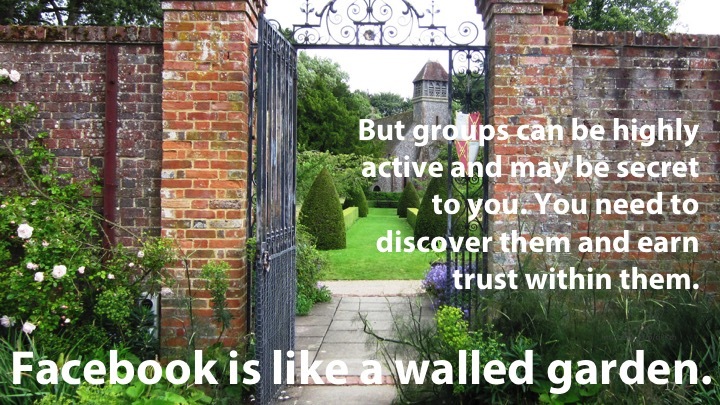 But the groups out here can be wonderful for engaging and getting your fans to see your content. The best thing about Twitter is being able to connect with people that you had no right to in the first place – like reporters. They are all on Twitter and understand the major importance of interacting and building a following. Use this to your advantage. Twitter can also be good at getting people organized around a rallying cry. Just be careful it because it can bite both ways. 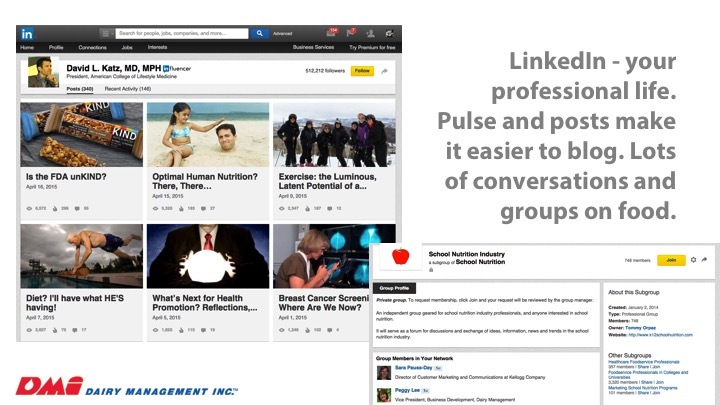 LinkedIn is an easy network to maintain and it’s the most professional of all the networks. 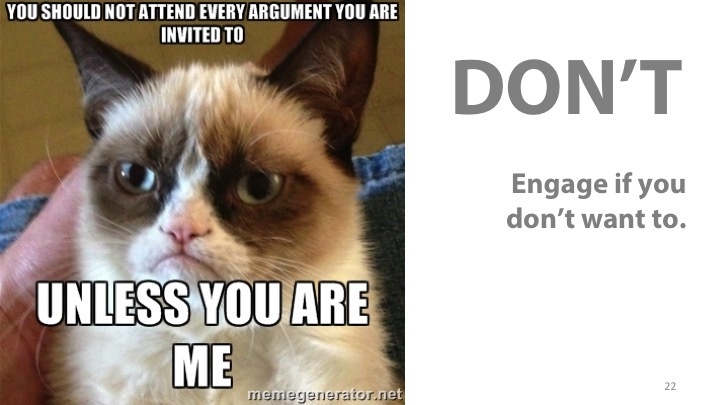 It’s also one that is probably going to have the least amount of engagement – unless it’s on blog posts. I’ve seen a lot of great content there. Blogging on your own place and sharing inside of LinkedIn can give you more visibility than you think. BTW, join more groups. Groups help your profile to be found. 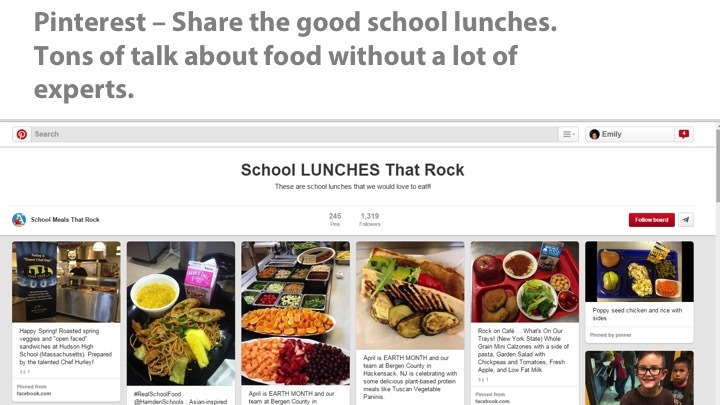 Pinterest is such a hot network right now especially for food. But it lacks experts. 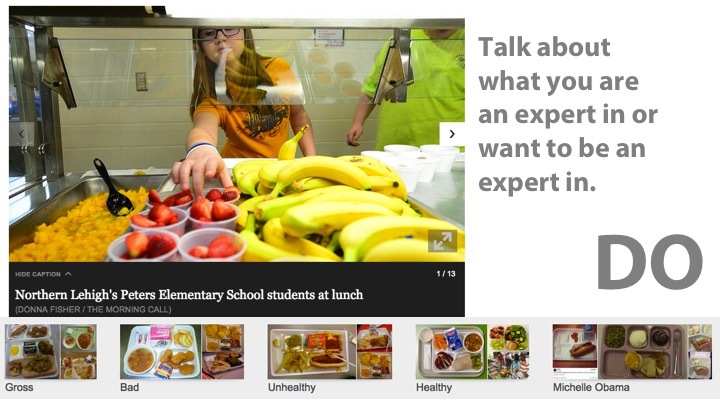 You can be that expert pinning good food and answering questions. This is where people search for good food – not Google. If you want to know how to do something and you don’t know how, just YouTube it. It’s a Do-It-Yourselfer’s dream. But the videos can’t be stale and I would even say that traditional videos have a harder time being found and liked. Make every video fun and engaging. Is it ever worth it to argue on a social network? Nope, not that I’ve seen. Is it entertaining to watch? Yep. Is it fun to participate? No way. You shouldn’t have to fight on these networks and I would discourage it. Sometimes it will make you feel better in the short run but over time it’s going to eat away at you. Remember one of the first lessons about the “Platinum rule”. It’s hard to do that when you are flaming another person. Just step away from the keyboard until you can calm down. If you want to persuade someone, you must elevate who they are and the position they are taking. If you think it’s worth going after, then follow the old salesman’s rules. Never let them say “no” (always give them stepping stones they can easily say “yes” too and then you can lead them where you think it will be a “win” to both you and them. If this isn’t possible, just walk away. Well, that’s it. There’s always a ton of other stories and what-not that I throw into this presentations but you get the gist of it. If you have any questions about anything I went over, just give me a holler online. I’ll be here like I always am. 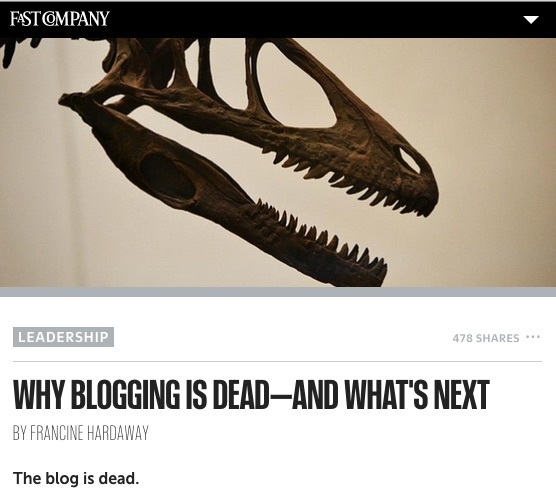 Is blogging dead in 2015? No, it’s alive and well especially in agriculture. Blogging isn’t dead even though the big names in marketing and tech claim it to be almost every year. Here’s one from 2012 / Fast Company. And then this year, supposedly it’s doing great. Of course the company, GigaOM isn’t. But that’s beside the point. When it comes to reaching out to our customers, farmers want to know if they should spend time blogging. I get this question a lot from farmers when I’m on the road teaching digital marketing. My answer is always the same. Yes. Yes, you should. I have a lot of answers to that. But for this post I decided to reach out to ag bloggers and see what keeps them blogging and doing this kind of digital outreach. Here’s one of the biggest reason of why you should be blogging. People go online looking for information about farming if they don’t get it from us, who will they get it from? The number of people who want simple agricultural information is astounding and I personally want it to come from credible sources. The farmers are credible sources of agriculture information. Other reasons to be blogging is that all that time you spend in social media is great but you should be housing all of your photos, videos and longer text format in a place you control. Facebook’s posts and Twitter tweets are fleeting and get lost in the ether. Why would you take all that time to craft something so beautiful to let it be lost? Another reason is that the search engines especially Google still love blogs and give them a lot of credibility. Blogs are workhorses of the search industry. Many of the major news organizations nowadays were once just blogs (and are still structured that way). Ranchers/farmers don’t necessarily see their daily lives as unique, and sharing the simple things of country life tend to be overlooked, but I can’t tell you how many times readers have asked how far to the grocery store or gas station, how do all the vehicles keep running or why do we have so many, can I get take-out? Lots of the daily stuff is worth blogging about, just because we understand it’s an hour to town, doesn’t mean the readers do! Sure moving cattle is a highlight, but most of the year, it’s Life that takes up my days. I don’t think you need to just focus on the farm…snippets of the life of a farmer are good, because it draws in more of the non-ag audience. It’s good to write about things they can relate to, and to build relationships…that’s when you become their trusted source. I’ll bet you that when you attend a city event and people find out you’re a farmer you get a barrage of questions. What’s the difference between conventional farming and organic? Why do you take away the calves from their mothers? Why do you live on a farm? I’ve got a quick “how to blog” on my blog and some 13 best practices but there are many different ways to start a blog and tons of people writing about how to do it. But some good advice came straight from the farmers. I suggest that anyone who wants to start blogging have 10 posts wrote before they launch. That way when they get busy they can use something they already wrote to keep their momentum going. Plus if they can’t get 10 posts wrote in the first place, they can decide if maybe blogging isn’t their thing after all. Find a good blogging planner. My resolution for 2015 is 2-4 posts a month and I’m hoping a planner will get me there! Your own blog helps you write about your passion. It will keep you interested in blogging. Do something simple. 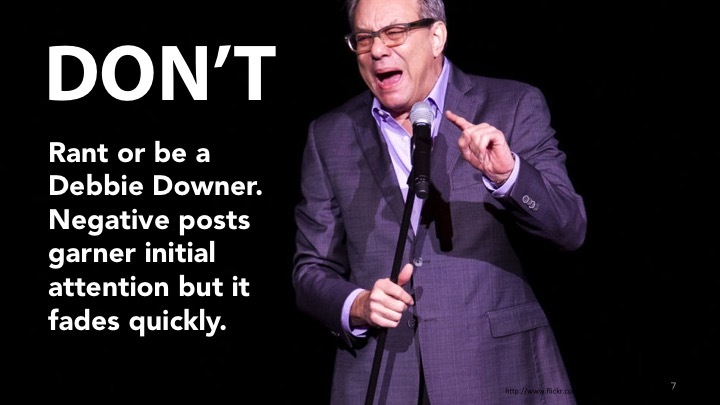 Don’t worry about making a post the definitive post of all posts on the subject. Non-farm people are often fascinated by things we thing are mundane. But if you’ve tried blogging and it just wasn’t working out, don’t just give up on online communications. We definitely need your voice out here. Are there other things besides blogging – yep! Try video or images. If writing isn’t your thing, think of moving to YouTube. The second most utilized search engine is YouTube. Find YOUR way and don’t think you have to follow others. Visual definitely makes a difference. Sometimes just a photo, sometimes photos illustrating, sometimes just a photo along with the article. I usually aim for 1 if under 400 words, more if over to ‘balance’ it or if needed to explain something. Again, blogging is a powerful tool to connect with your customers. You can pass along insights about life on the farm and how you farm as well as the commonalities you share with them. Your farm voice is one of the most important communication tools ag has and without it other voices will fill the void and the imagination of our customers. You can set the record straight and build strong relationships with the people that trust you to grow their food. If you have any questions about getting started or getting back into blogging, please let me know. I would be happy to answer them. You can leave a comment below or just hit me via Twitter or Facebook. I teach an advanced digital marketing and online influence class called “Blowing Up: How to Expand Your Online Influence”. The deck below is part of this class. I’ll come back and fill in the text around the deck at a later time. I’m just trying to get it up for the farmers that attended. 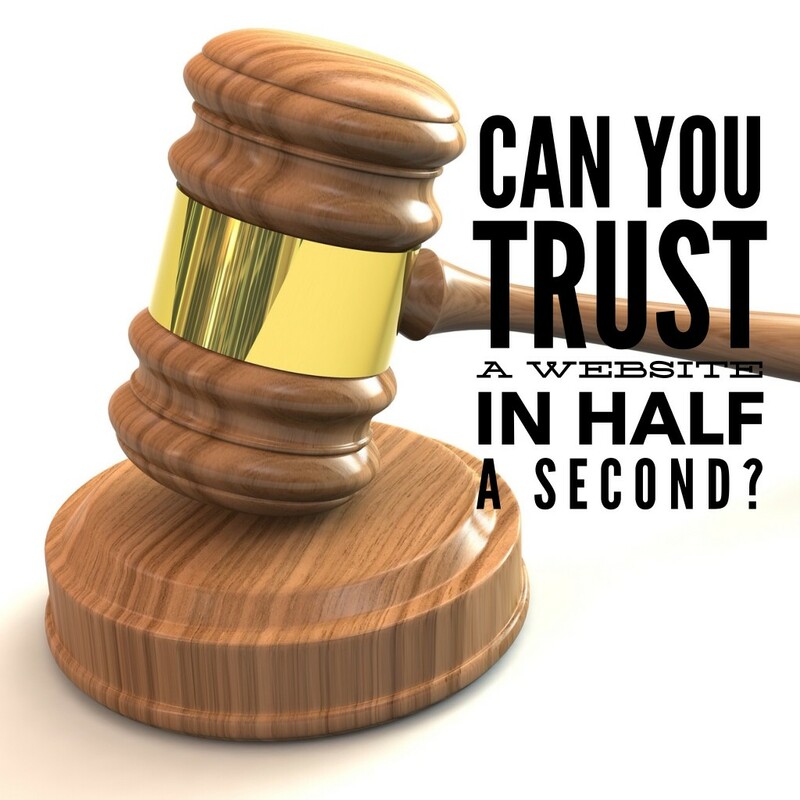 Can half a second on your website determine the trust of your brand? Our guts are pretty good indicators of trust. In fact, humans are hardwired to read a situation and come up with an impression in just 50 milliseconds. We get this “fight or flight” ability from our ancestors. While not everything is a death threat, we use this ability without much thought to it. So let’s talk about this “fight or flight” in reference to the internet. When we are looking for a specific answer to a question, most of us trust Google (about 65% of searches start there) to deliver a website that will have the answer. We scan the results quickly and decide to click on usually the first couple of links essentially our first impression. Everything on the page (design, user interface, then content) will determine whether we believe what they say is true or we’ll bounce back to the results and click another link. 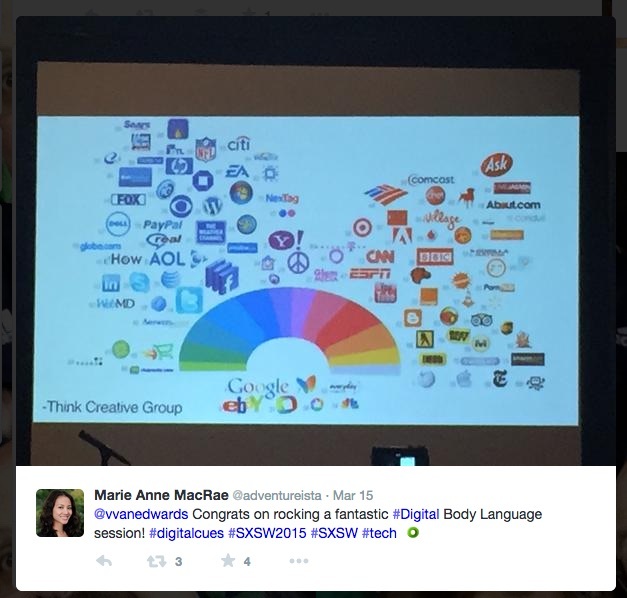 How you can adjust your website and online image to maximize your potential trust with a user was a SXSW workshop by psychologist and technologist, Vanessa Van Edwards. By the end of this blog post, you’ll know why this image looks this way. “You have 0.05 seconds to make a good first impression online. In those 50 milliseconds you have to hook someone and convey your brand messaging, encourage clicks and build trust. Most important, this happens before a user reads any of your content, headlines or descriptions. You have to capture their attention with your website’s nonverbal cues or your digital body language. Whether you run a business, work for a corporate brand or just want to better understand online human psychology this workshop is for you. 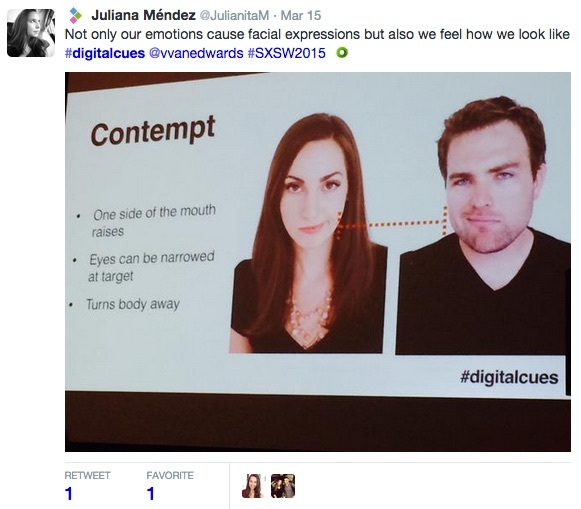 *Using eye patterns to know how a user consumes your content. *Using images congruent with your branding. Her goals for the workshop were pretty simple. Take control of your cues. Here are my notes from the class. Vanessa Van Edwards has based her career on science-based application of 2400+ human behavior studies. When people first meet you, they are sizing you up with many determining factors much like they do online digital presence. These non-verbal cues are 12-13 times more powerful than the accompanying content. So in other words, if you have all these awesome accomplishments on your LinkedIn profile but you have a bad head shot – the head shot will be more effective at trashing your reputation. I’ll give you points from her class on how to improve your head shots down below. You must make sure your first impression does everything to build your trust indicators, your personal brand values, your credibility and your memorability so people will feel confident in making a decision in selecting you and your company. Now what makes up your digital impression? First, you do a Google search. When people type in your name, what comes up? Remember to logout of Google or use a different computer than what you normally use because search engines hold on to results so the results will be based on your history not what’s currently available. Search changes all the time. All of these should leave a good impression of you – we’ll discuss more of how these images will look below. Let’s dig into the links. If your first link is your company website, there might be little you can do to control the environment that surrounds your head shot and biography. But maybe you can. You can send this link to your website designer and they can make sure they have incorporated some of these tactics on your website. When it comes to a digital presence of your company, the first impression is made by your website. On it, users will find your logo, the colors and fonts, photos and/or video, user interface like search box and navigation. This is what users expect and if things are missing or in unusual places, this will question the credibility of your website – even before they read a bit of content. So how do you know if your website is trusted? There are several different ways to measure the effectiveness of your website and I recommend that you have goals set up in your Google Analytics to do this. But if you don’t have them set up, you can go into your analytics and check out if users are clicking on the right links, if the Bounce Rate is too high (I like to stay lower than 50%) and Time on Page is to low (more than 2:30 minutes would be great). Users should be clicking on your Call-to-Action – if you don’t have one then I honestly don’t know why you have a website. Most Call-To-Actions I set up are Buy Buttons or Sign-Up for Email buttons. Goals are based on the Thank You Purchase Page or the Thank You for Signing Up Page. There are also some tools like trymyUI.com that can help you get feedback on what people think of your website. And don’t get me wrong – text on the page is very, very important but it’s usually what people look at last after they quickly scanned the page for signs of trust like testimonials or third party logos. Make sure the text you have is positive as this can lead to prime people to believe what they see on your page – negativity breeds mistrust of others but will affect your brand. Now once they’ve decided to look over the page, what are some important elements that people will focus on? Yep, our brains are wired to look for the human face and then the patterns on the face (even when you physically can’t recall seeing the face you will have an impression about it). Once we have recognized a face, we will quickly analyze their expression to see if they are friend or foe. And since we all study human faces all the time, we can easily pick out what they are feeling. In fact, there are a few expressions that are involuntary that we pick up right away and they can help or hurt your website’s credibility. Contempt – a smirk or raised angle smile will cause mistrust. Happiness – an honest smile will have crows feet in the eyes. Fake smiles don’t and can help just as much as contempt. Fear – if the user sees the upper whites of eyes (even if the face is smiling, it will seemed forced). Check out the pictures on your website of people. Get rid of the fake stock photos and put in some genuine happy faces. Vanessa wanted us to know that there are particular ways that people look at other people as well as looking at websites so there are multiple ways you need to take gaze into account. First is how people look at your website. They use an F-pattern as first discovered by Jakob Nielsen in 2006 and it still works today. People scan the site, looking for normal patterns. Logo, navigation, search box, social then down the page to images and content, then they quickly scroll down the page. Your crucial information should be placed within this pattern to make sure it is found. Many times I see Call-To-Action buttons or boxes at the very bottom of the page or in an unusual spot. It’s ok to be unusual if you are going to draw attention to the button with color or an image. But there’s another gaze that we pay attention to. The gaze of the people on the website. You can direct people to different places on the website by simply aiming the gaze of the person on the page. People will automatically look in the direction of the person on the page – make sure your call to action is in that gaze. 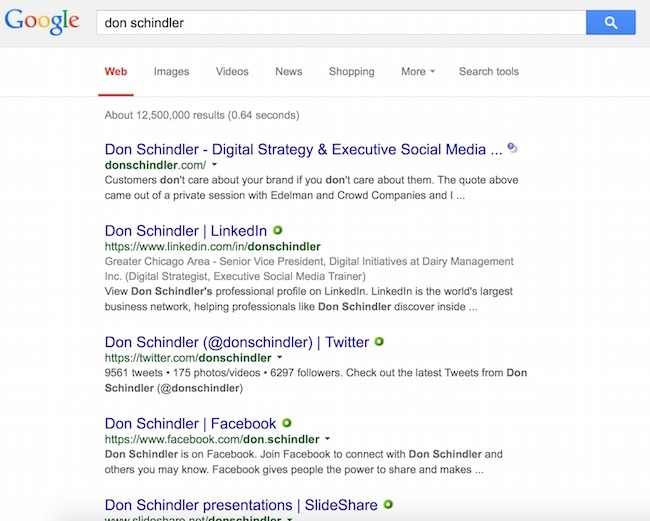 Another great way to make a good digital impression is to have video on the page or within your search results. Video is powerful communication vehicle and people tend to watch videos more than anything else online (notice the growing popularity of Facebook videos and YouTube). 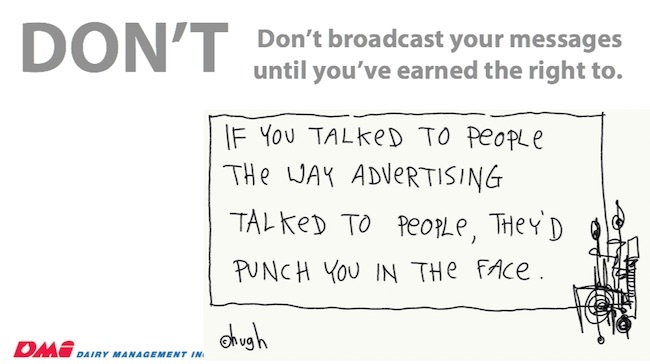 But to have a good video that can earn you trust, you must pay attention to the psychological best practices. 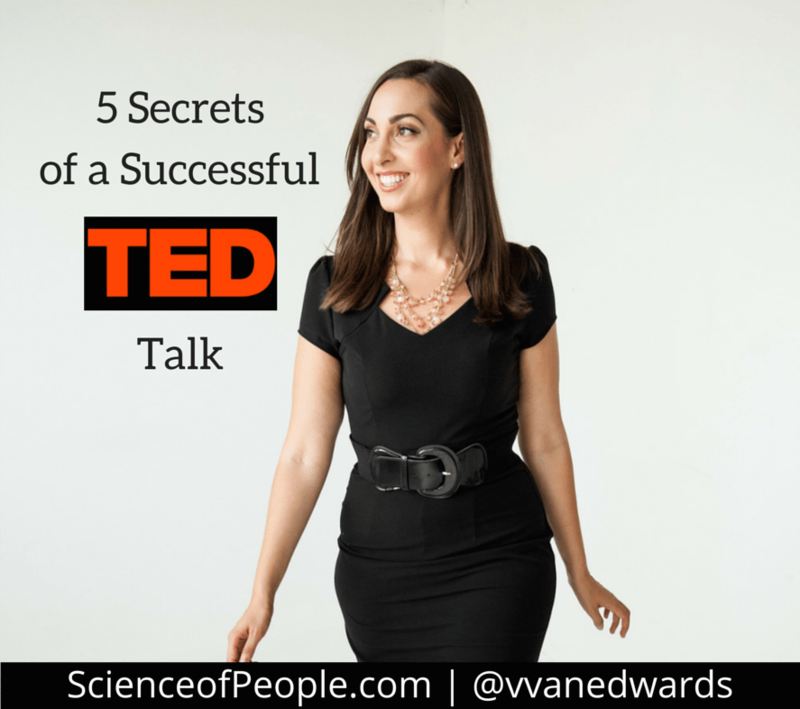 Van Edwards just released a great study on the best and worst TED talks. They analyzed over thousands of hours of TED talks to find out the commonalities of these speakers and have come up with some remarkable studies. Going back to our gut reaction, we decide within the first seven seconds whether we trust the subject of the video. Seven seconds. If you don’t get them to trust you in the first seven seconds, you won’t get them to trust you the entire talk. So what are the best practices of the best TED talks? Hands – the study found that the use of your hands in a presentation determined success and trust. 465 > 272 best to worst. If you talk with your hands in videos, then keep doing it. If you don’t, you need to start using them. Things to do with your hands are pointing out growth, counting numbers (1, 2, 3) and personal passion (touch your heart). Vocal Variety – You have to change your tone. Let it flow with your emotion and definitely change your cadence to keep the audience engaged. They never know where you are going next. Smile – Add jokes, tell stories you can smile at even if the topic is serious and use that smile. The best speakers smiled 36.25 sec vs. 9.15 sec of the worst ones. From her blog post – you can also add Enthusiasm (people liked speakers even with the sound off – so gestures and constant movement), and not using scripts (makes people too stiff and like they don’t know what they are talking about – politicians should take note). Now if you are like me, you might have picked the color of your logo or your website based on your favorite colors. But remember you are trying to make an impression on someone so colors and font choices mean a great deal to the user – not just what you like. Research reveals people base between 62-90% of their assessment on color alone. So what do certain colors mean to the user? 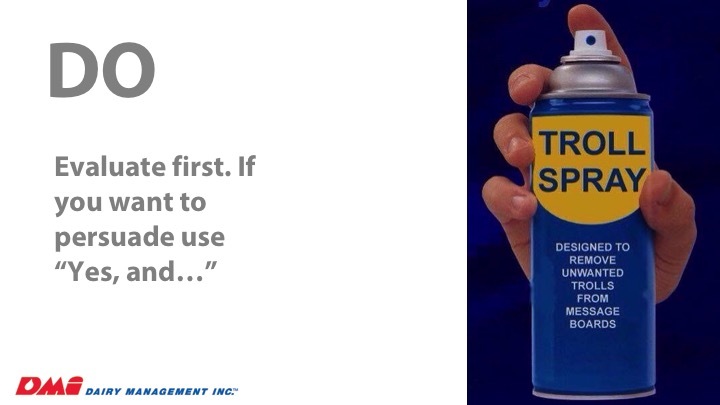 What you need to do is limit or eliminate off brand colors, confusing color cues, or purposeless colors. Everything is intentional whether you mean to do it or not. Wow, are we ever going to get to the content on the page. Yep, now we are. 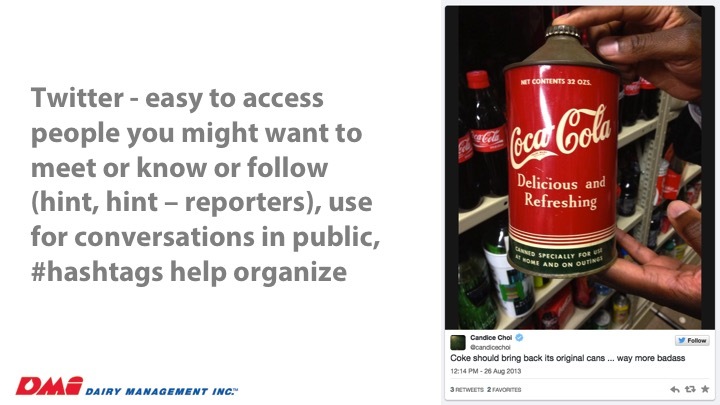 When it comes to the content, people are going to be looking for authenticity cues. That you are who you say you are. Now how do you do this? Authenticity comes from personal stories embedded within your profession information. The “WHY” you do what you do is just as important as they stuff you do. It needs to match up. But you need to make sure you are eliminating grammar errors (tough for me), spelling errors (even worse) and anything vague that could be a lie so be specific. You can add social proof to build trust with testimonials, reviews and certifications as well as recognized logos. Then she spoke about confidence cues. She said that when we meet someone new we are always sizing them up. 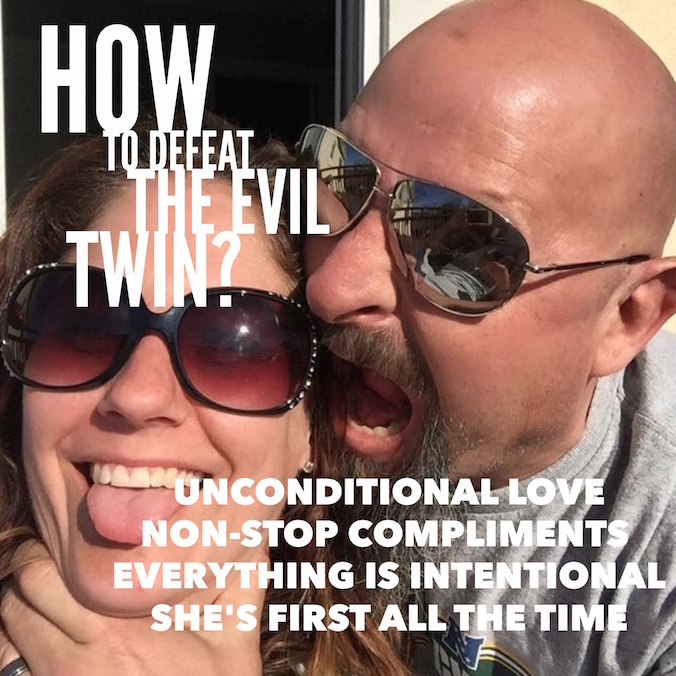 It’s our Alpha thought – are they awesome or am I? Power body language (body position) has a halo effect – use more space and you will effect more than just you. 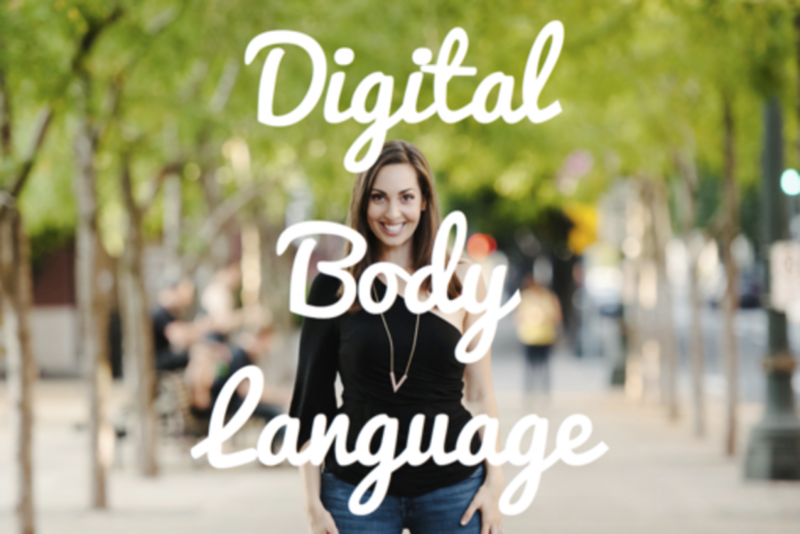 If you want people to think you have more confidence then use your body language in ways that are expansive. You are staking claim over territory, keep your head high, arms wide, shoulders back, chest open. The more space you use, the higher people perceive your confidence. People perceive low confidence as your body is contracted, less space, the more your head is down or bowed and shoulders rolled. Hey, do you know what we look like when we are looking at our phones. You got it – low confidence. Again, how do we take this to your website and your online presence? Let’s talk about your head shots – a good headshot according to Vanessa was one that is viewed from below, aim your torso and toes toward the person and eyes gazing at the camera – you will look more trustworthy, open-minded and sympathetic. If you need to look helpless and get sympathy, be viewed from above and don’t meet the gaze of the camera. 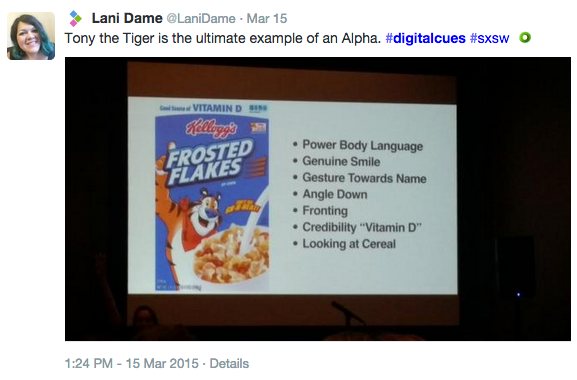 She did a great job in explaining how cereal boxes do this to kids (and adults) with their branding and mascots. Finally, Vanessa spoke about capturing attention. She spoke about a spectrum of attraction that users are on when they visit your website or online presence. When you have too much or too little, you can really hamper people from making decisions. Sounds and animations (like gifs and auto start videos) can grab attention, but too much and they annoy or distract people from the surrounding content. Too few or too many choices will also cause a user to pause when making a decision. There’s always an issue with dropping too many links in an article. You have to find the right balance so you should always be testing. We started to run out of time toward the end but I’m telling you it was one of the better workshops I attended at SXSW and I was very impressed with amount of information.